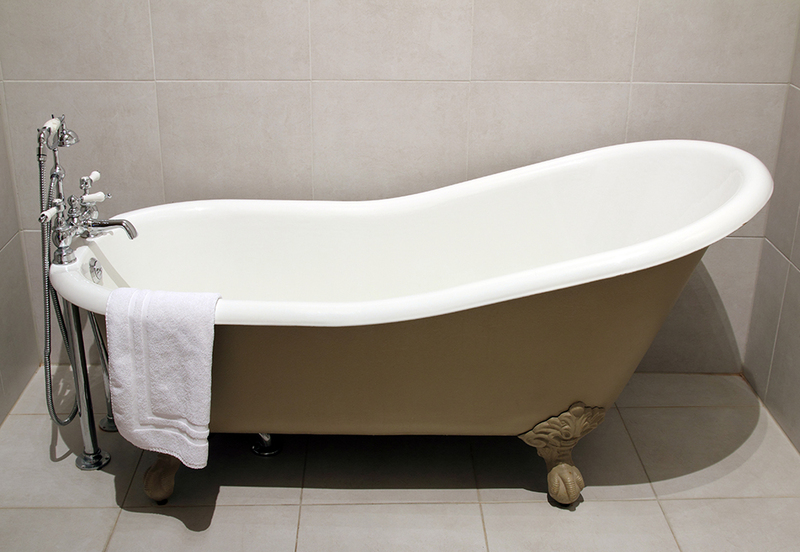 Bathtub refinishing is a cost effective bathroom makeover alternative to replacing a bathtub that is worn out, damaged, hard to clean, or simply a dated color. At New Refinishing Houston, we will repair chips or cracks and restore the surface to look and feel like new. You’ll save thousands of dollars and avoid days or even weeks of demolition mess and costly replacement. Remodeling and replacing fixtures in your kitchen or bathroom can be a long and expensive undertaking. Finding a reliable and trustworthy contractor can prove to be a stressful process as well. You have to consider costs and the fear of being overcharged. Timely projects on a job well done and budget friendly renovations do not always coincide. There are alternative options. Instead of remodeling and replacing, why not consider a more affordable update? What if it were a hassle-free option? Refinishing and reglazing is the answer!